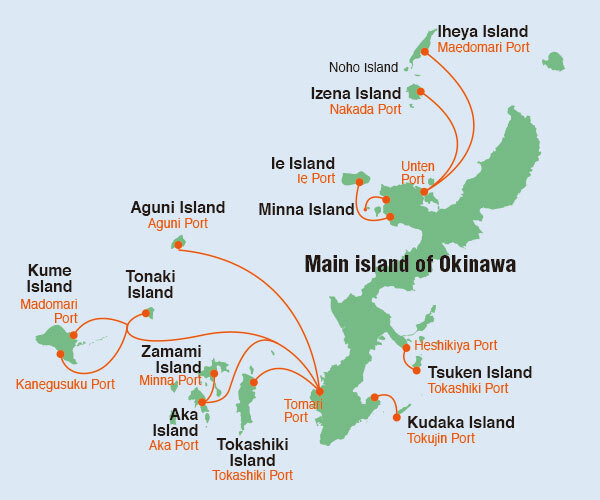 Zamami Village, which includes more than 20 islands, has two main ports: Zamami Port on Zamami Island and Aka Port on Aka Island. 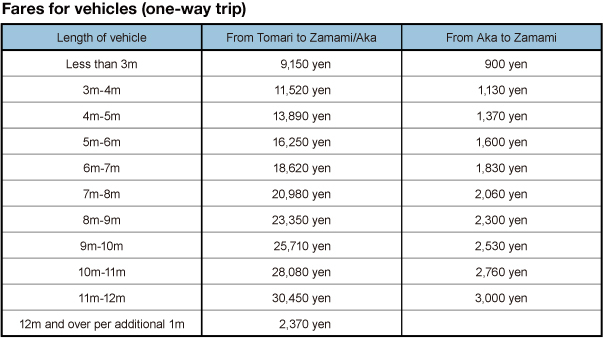 Both the regular ferry and the high-speed passenger ferry run from Tomari Port, Naha City, to both ports, but the terminal for each vessel is different. Ferry Zamami leaves in front of Tomarin, while the high-speed Queen Zamami leaves from the north pier, or Hokugan. *Children’s fares are for passengers in elementary school. *Group discount is available for 15 or more passengers booking together. *Advance booking is available from two months before departure date (ticket office is open 10:00-17:00). 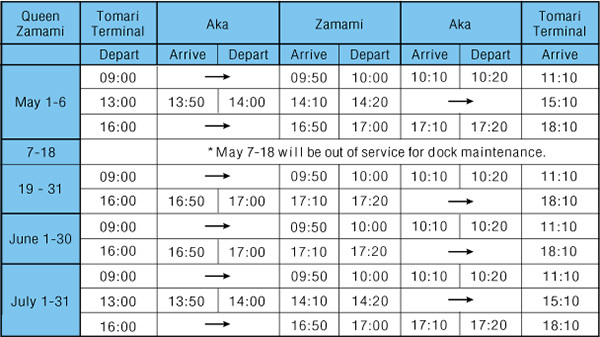 At peak times, including Golden Week (running from the last week of April until the first of May) and summer vacation, the regular ferry and high speed passenger ferry run more frequently. 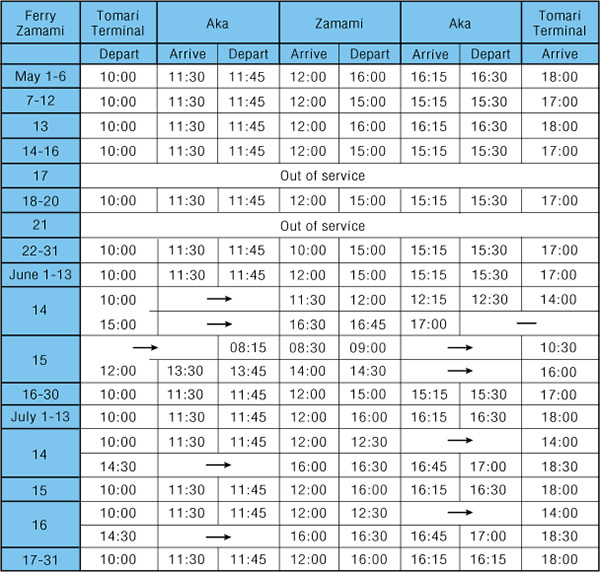 Please check the official website of Zamami Village to confirm seat availability and the latest schedule. *Online reservations with credit card payment accepted 55 days prior to the boarding date. *Phone reservations accepted two months prior to the boarding date.